Our company is the prominent exporter and supplier of optimum quality Children Footwear. Comes in attractive colors to fulfill the need of kids, the offered footwear is widely applauded by our customers for its fine finish. Moreover, we make the offered footwear available to clients in varied styles and sizes, in order to meet their requirements. We hold expertise in this field; we are offering to our valuable clients a premium range of Kids Fashion Footwear. Provide absolute comfort zone to the wearer, we are giving this footwear to our customers in customized options. This footwear is manufactured by vendor’s workforce using quality assured basic material. Also, customers can avail this footwear at reasonable prices. 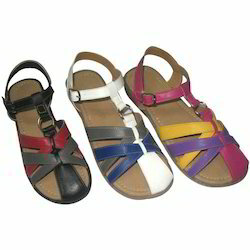 As an eminent organization, we are deeply engrossed in exporting and supplying an exclusive range of Pink Kids Sandals. 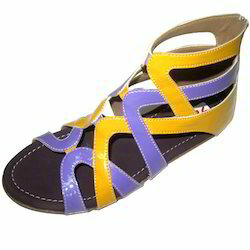 The offered kid’s sandal reduces the growth of odor causing bacteria. Moreover, we make the offered kid’s sandal available to clients in varied styles and sizes, in order to meet their requirements. 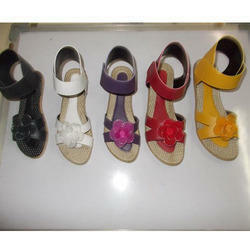 With rich market experience and knowledge, we are engaged in offering an exclusive range of Designer Kids Sandals. Widely demanded among ladies for its stylish look, the offered sandal is widely applauded by our customers for its fine finish. Moreover, we make the offered sandal available to clients in varied styles and sizes, in order to meet their requirements. Looking for Kids Footwear ?